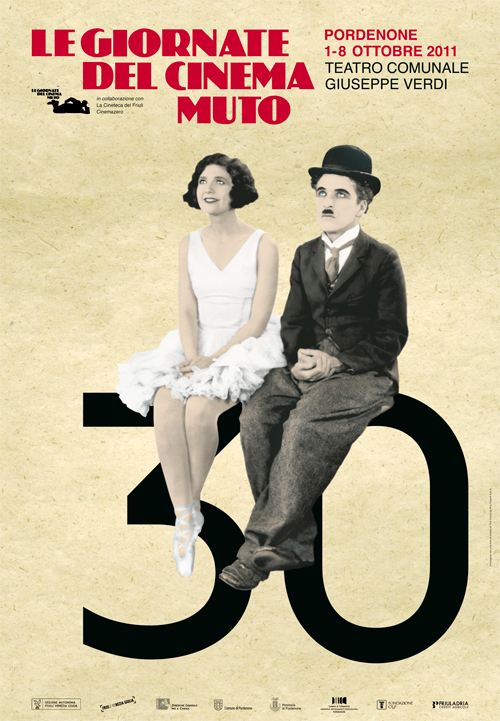 A postcard from this year’s Giornate del Cinema Muto in Pordenone – by guest blogger Ellie Groom. 2011 was a year full of significant rediscoveries and restorations of seemingly lost classics. Serge Bromberg and Eric Lange of Lobster Films presented the digitally restored version of the hand-painted print of Méliès’s Le Voyage dans la Lune (1902). Famously, the restoration was over a decade in the making, and came complete with a controversial modern score by Air, which caused one disgruntled festivalgoer to exclaim, “It’s a disgrace!” Opinion is split on whether Lobster Films should have presented a more traditional soundtrack (and the film was screened again later in the week with Donald Sosin at the piano), but nothing could have detracted from the bold and beautiful colours of Méliès’s sci-fi wonderland. The three surviving reels of Graham Cutts’s The White Shadow (1923) had film fans queuing all the way across the piazza, desperate to see the work of a young assistant director called Alfred Hitchcock. The shadow of Hitchcock loomed large over the screening, though the real star of the piece had to be American actress Betty Compson, who deftly hopped between the dual roles of twin sisters, one virtuous and the other flighty, in love with a man unaware that he has two paramours. Watching the film was a frustrating experience as it cut out at the most dramatic point. Someone, please, find those last three reels! As is well known, next year silent film fans in the US will be able to see Abel Gance’s Napoléon (1927) in all its glory. However, Kevin Brownlow was on hand in Pordenone to give a stirring history of his plight to restore the epic biopic. Brownlow’s lecture was part of the Collegium: an education initiative whereby a dozen young film researchers are invited to Pordenone to partake in dialogues with eminent film historians and archivists. If, like me, you are interested in becoming a Pordenone Collegian then keep an eye on their website – applications will open in the new year. No formal experience is required, just enthusiasm for silent cinema. While names such Hitchcock and Méliès will always draw a crowd, it should be noted that several other finds made their way to Italy, which may have been more obscure but were no less astonishing. RW Paul’s The Soldier’s Courtship is a delightful and invaluable rediscovery from 1896 – arguably making it one of the earliest instances of fiction on film. It was thrilling to see so many festival goers enraptured by less than a minute and a half of film depicting a simple story of a couple’s attempt to grab some privacy. There was a strong emphasis on restoring the colours of silent film. 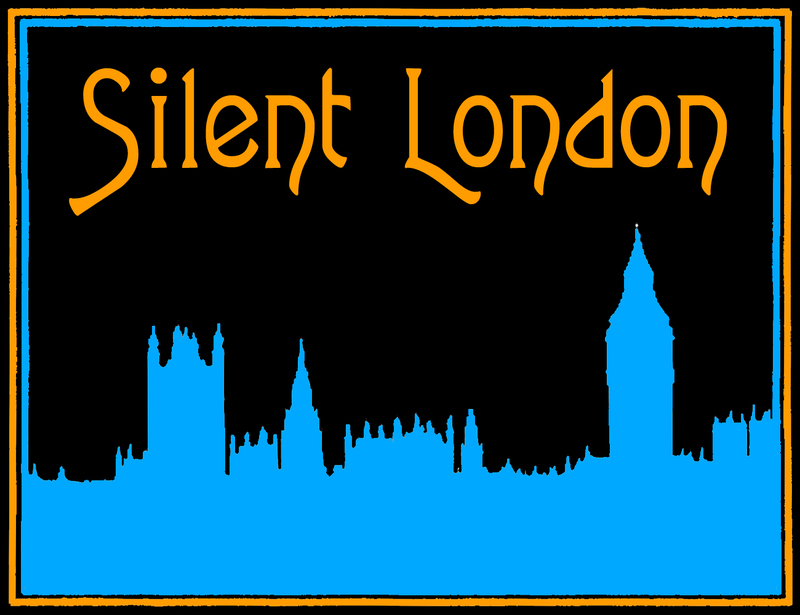 As most Silent London readers will be aware, while silent films were shot on black and white film stock, large amounts of them were tinted, toned, stencilled and hand-painted. The festival screened several examples of digital restoration and the Desmet process of turning hand-coloured films into colour prints, as well as rare examples of prints that have been tinted using dye, just as the original distributors would have done. One particularly fascinating example was a tinted fragment from Der Rätsel von Bangalor (1918), which although just five minutes long was screened seven times, each time from a print restored using a different method – including one that had been submerged in food dye! Lastly, the festival drew to a close in style, with Victor Sjöström’s The Wind (1928), accompanied by Carl Davis conducting his own score with the FVG Mitteleuropa Orchestra. This silent classic starring Lillian Gish was screened with Davis’s score in Pordenone in 1986, and so its triumphant return was a fitting finale for the festival’s 30th anniversary. So, there you have it: a whistlestop tour of Pordenone 2011. I didn’t have time to highlight the other wonderful screenings such as New Babylon (1929) with Dmitri Shostakovich’s original score, the film of Ernest Shackleton’s Antarctic expedition, South (1919), accompanied by a commentary from the explorer’s diaries, read by Paul McGann, or Walt Disney’s Laugh-o-Grams (quick plug: I’ll be discussing those next week on my blog). Never mind … there’s always next year. without wishing to be in any pedantic… Betty Compson was American and the commentary read by Paul McGann on South (1919) was taken from Shackleton’s diaries and not from the original lecture which is lost – if we ever find it we’ll let you know! You know what, I’d just looked Betty up on Wikipedia and was wondering if I’d said she was British… Oh well, thanks for letting me know.